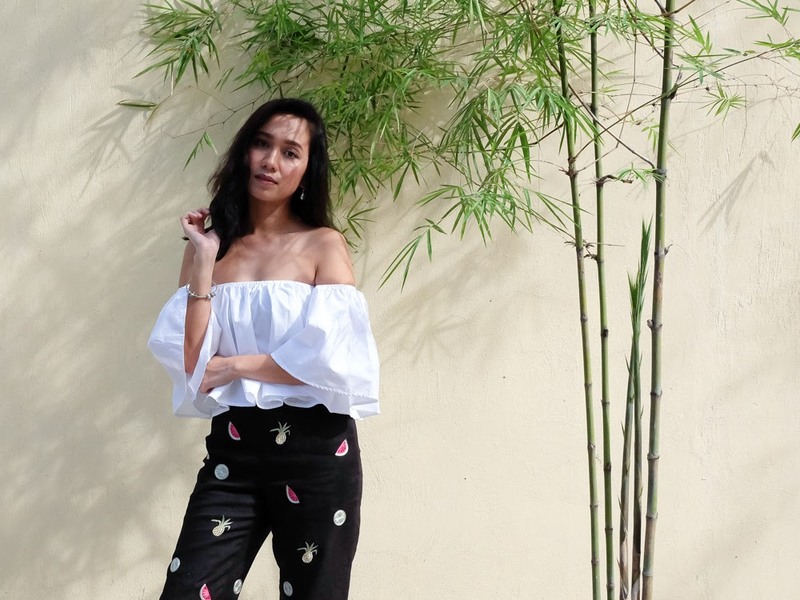 I basically hoarded off-the-shoulder tops and dresses last month so here I am bombarding you with posts that are mostly, if not all, off-the-shoulder anything. I couldn't help but stock up on these flattering pieces because truth be told, they're a total game-changer. Wear an off-the-shoulder top with frayed-hem jeans and slides and you've got yourself a casual look. Wear it with printed maxi skirt and sandals and you're ready to hit the beach Coachella style. But if you're looking to wearing it to a much more (semi) formal setting, wear an off-the-shoulder top with tapered trousers and pumps, minimal accessories and you now have with you an ensemble fit for a dinner date. Just don't forget to bring a jacket with you in case the night gets cold. This off-the-shoulder flounce top from Zaful is another favorite item in my closet. 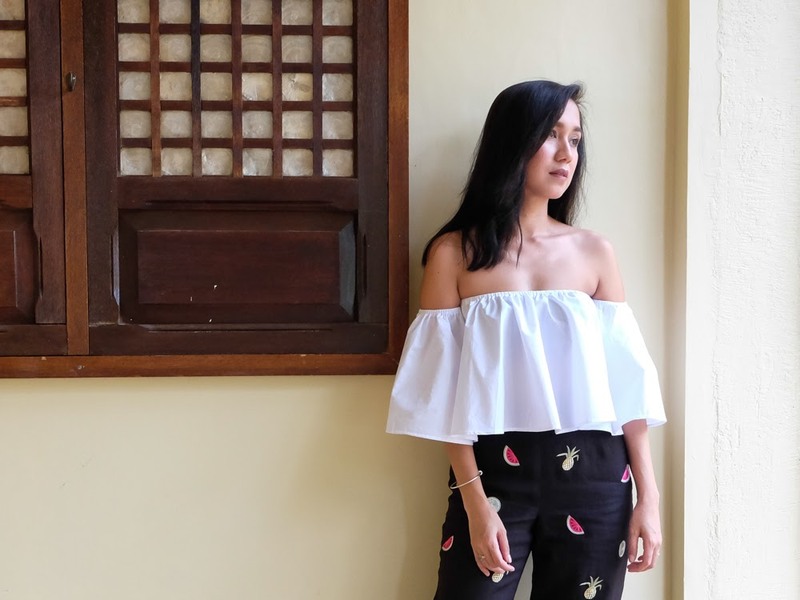 Not all off-the-shoulder tops I've tried are comfortable but this one is surprisingly comfy. Quite a lovely surprise given that this was an online find and there was no way to tell if this was comfortable or not. But because I read reviews before actually committing myself to purchase something online, it helped that there were pictures and testimonials from other buyers saying that they all loved this and that they're actually looking forward to getting more in different colors! Online shopping sites with reviews of their products and photos from other buyers are good online places to buy something from because you're sure to get your money's worth with every purchase. That is one thing that I always look for in an online shopping website-- product reviews and photos. As for all my other off-the-shoulder clothing pieces, expect a few more posts before I box them for use next summer.